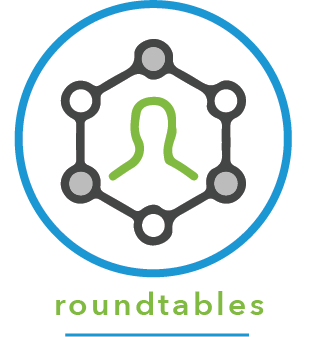 Plan now to attend the next Non-Profit Roundtable. We meet on the first Wednesday of every even numbered month [FEB/APR/JUN/AUG/OCT/DEC] from 7:30 to 9:30 am. "A number of years ago as Sheboygan Chamber members I proposed to my Board that we drop our membership because no one was going to the Business After Hours events and there seemed to be no advantage to our Non-Profit organization. A Board member at the time persuaded me to stay and assured me that the Chamber was listening and that they were going to do something for Non-Profits. Since the Nonprofit Executives Roundtable began, I have been an active member and it is the one event that not only takes preference on my calendar but I really look forward to it. I really cannot speak highly enough about these opportunities. I have made significant relationships with other agencies that have led to excellent collaborations and I value the chance to learn from others. As a Manager who will retire in the next few years, I have especially benefited from the knowledge of the younger professionals balanced with the experience of those nearer my age. It is an excellent example of intergenerational collaboration." Wendy Schmitz, Supervisor, Friends of Senior Activity Center of Sheboygan. We are located at 2776 N. 31st Place. Not that everyone doesn't have GPS but we're basically at the end of 31st Place off of North Avenue on the left...you'll see the sign. If you start making the curve onto Cherokee you've missed us. June 5 RCS Empowers, Inc.
Times are 7:30 a.m. 9:30 a.m.